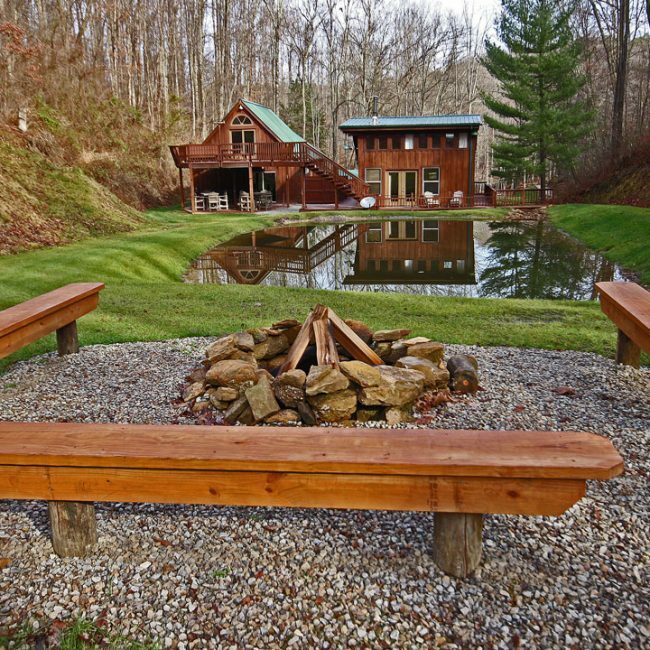 Rock Hollow in Hocking Hills is designed for the small to mid-size group that appreciates quality. 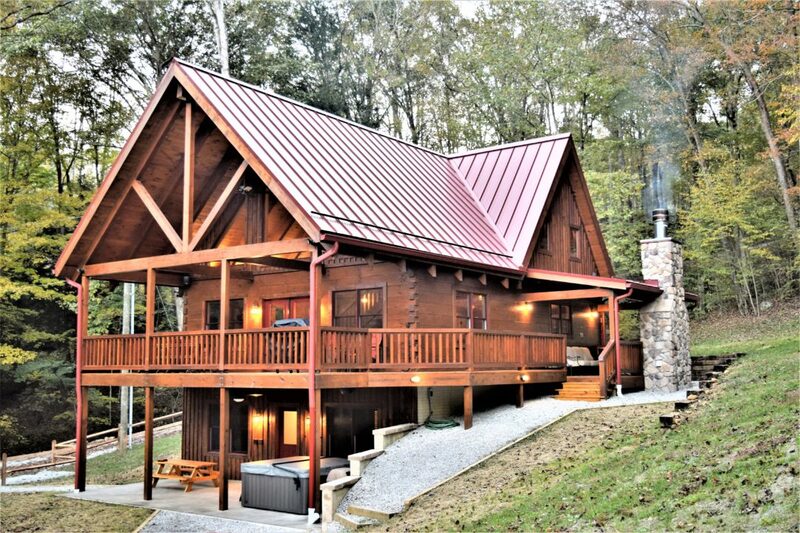 Everything is custom in this 4 bedroom / 2.5 bath heavy timber custom log cabin. 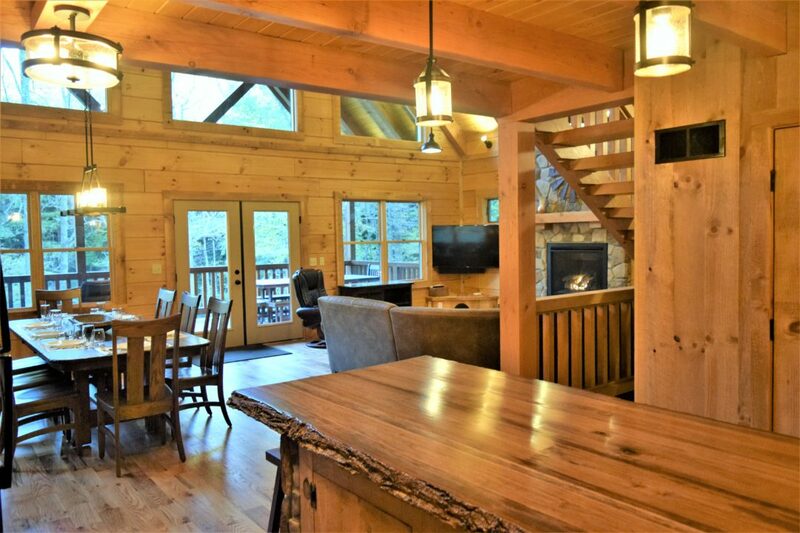 Rock Hollow is perfectly situated on 5-private heavily wooded, yet scenic, acres with incredible rock formations sprinkled throughout. With approx. 2,200 sq. ft. of well-appointed living space and approx. 1,140 sq. 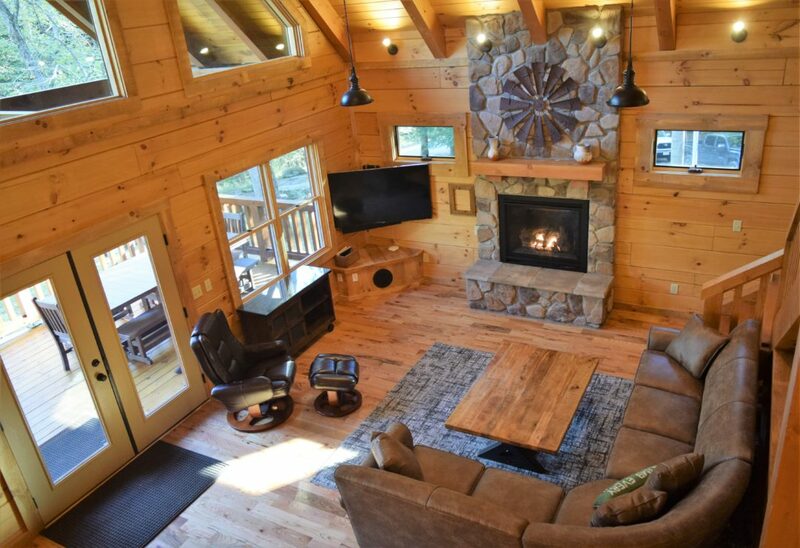 ft. of exterior covered decking and patio for outdoor entertainment, no matter the weather peace and relaxation are waiting for you after a long day of exploring all that Hocking Hills has to offer! Base rate price range is $275 (2 ppl) – $650 (10 ppl) per night. 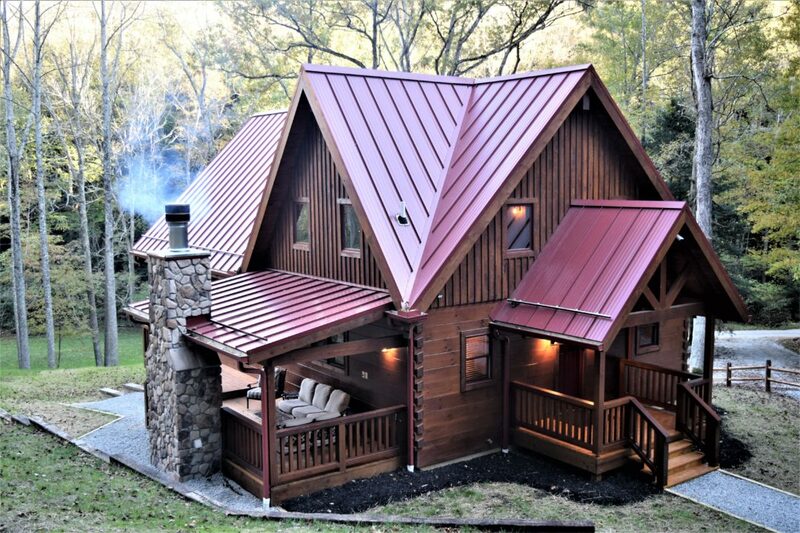 Minimum age to rent this cabin is 30 years. Max. Occupancy is 10 guests.